In the North slope above a small valley. 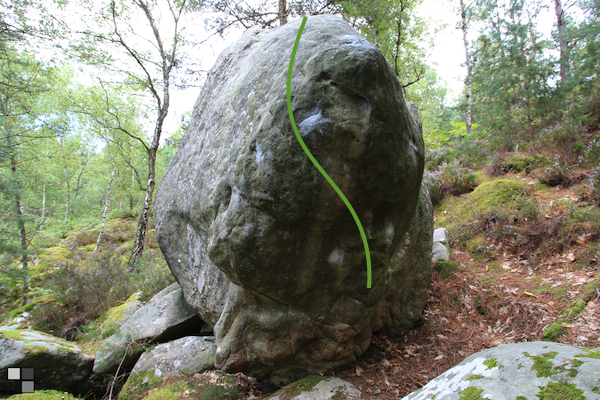 Sitstart to the right as for Misfits direct, climb the arete and exit by the slab on the left face as for Demi-Mesure. Access: from the parking lot 95.2, come back (on foot) on the asphalted road and follow that one for 300m to the North-East. Continue on a path through a sandy zone, and take a small path to the right shortly after th 25 Bosses path. 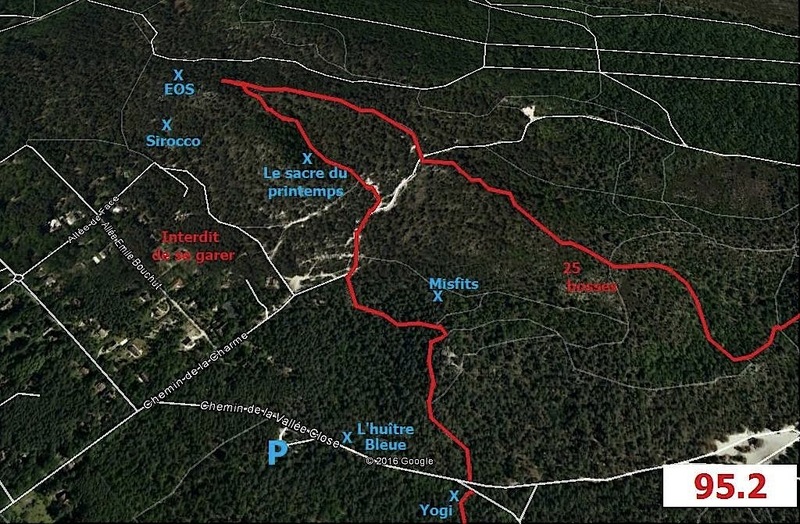 Go up in the small valley of "Les Marchais" towards "Le Pignon des Maquisards". 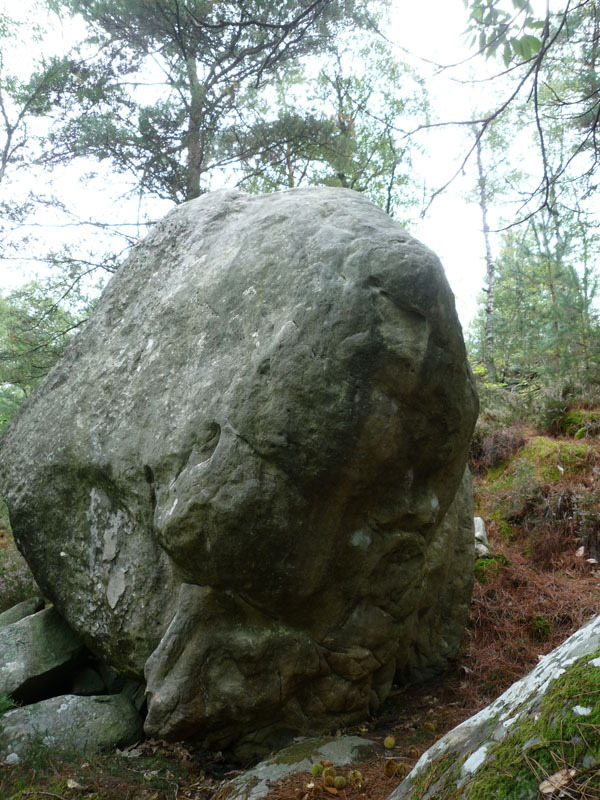 The boulder is on the right, in the North slope, at the middle of the valley.